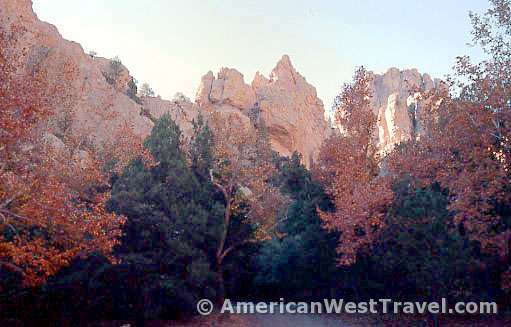 We have previously reported on our adventures in the Chiricahua National Monument, a wonderland of rocks on the western flank of the Chiricahua Mountains in far southeastern Arizona. The Chiricahuas are one of many abrupt mountain ranges - "sky islands" - rising out of the high desert basins common to this area. 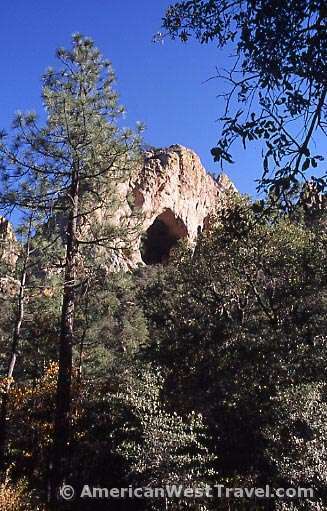 The very remote eastern side of the Chiricahuas features the dramatic rhyolite cliffs of Cave Creek Canyon which is an entranceway to the unspoiled Chiricahua Wilderness. 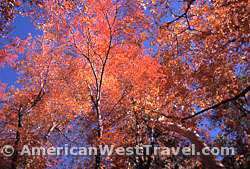 The heavily wooded canyon provides summer relief to Arizonans willing to make the trip. While the west side of the mountains is easily accessible by paved road from Tucson, the only paved access on the east side comes from New Mexico. You can also take the exciting and sometimes hair raising dirt road from outside of Chiricahua National Monument over the top of the range at Onion Saddle. Trailers and large RVs not recommended! At right, one of many enormous cave-like alcoves which riddle the volcanic walls of Cave Creek Canyon. The South Fork of Cave Creek Canyon is a birder's paradise with one of the richest lodes of bird life in the United States. Hundreds of species of birds have been observed here. The Southwest Research Station of the American Museum of Natural History in nearby Portal maintains a collection which includes 244 species of local birds and 74 local mammals. We're taking our walk up the South Fork in early November so there are few birds in evidence, or any other wildlife. 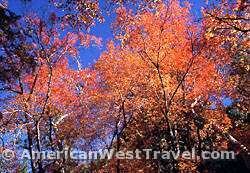 Daytime temperatures are in the 50s(°F) but it is below freezing at night. 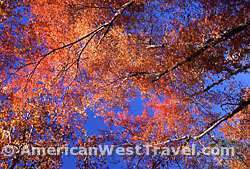 Our objective this trip is to observe colorful fall foliage. 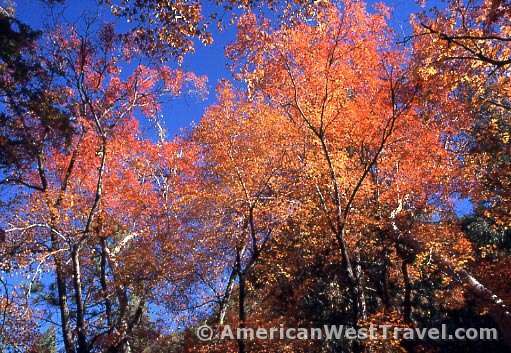 The lower canyon features deciduous trees (which lose their leaves in the winter after turning colors in the autumn). 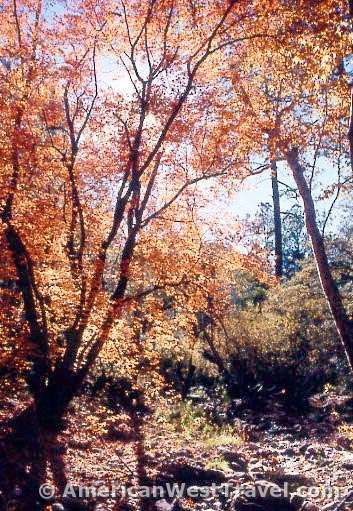 The predominant tree in the lower canyon is the Arizona sycamore. 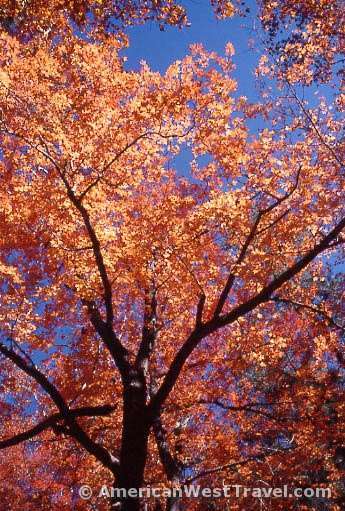 It features a large five pointed maple-like leaf which turns yellow, then reddish in the fall. 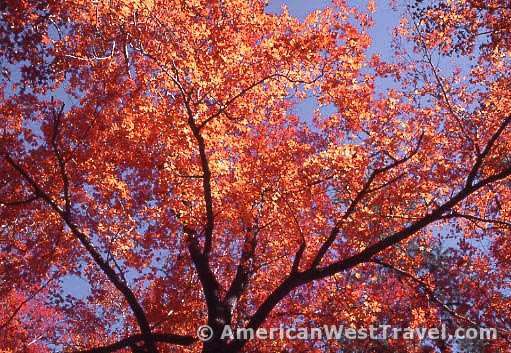 Unfortunately, the sycamores are already past their peak and not really best for photos. (There are some sycamores in the very first photo, at top.) 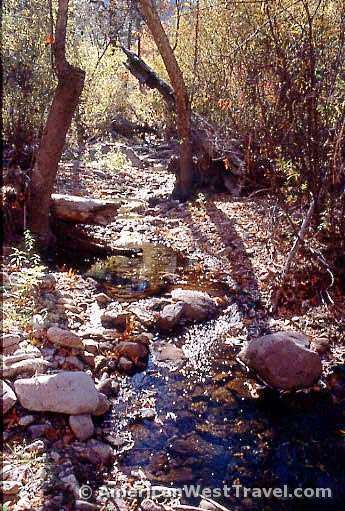 There is a place on the map marked "Maple Camp", about three miles upcanyon. 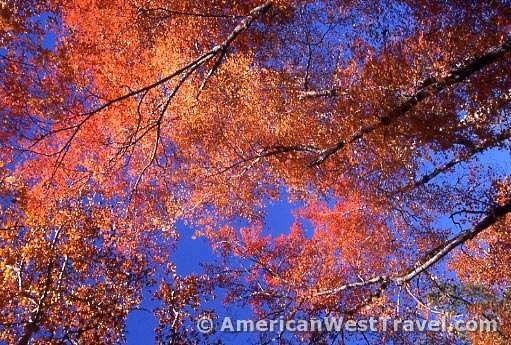 We were hoping to find some great fall colors, and as can be seen by the photos above and below, we were not disappointed. Maple Camp turned out to be a small grove of maple trees straddling the banks of the South Fork which is actually a tiny rock strewn stream here. 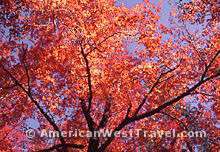 Most of the trees here were at their peak color which for maples is bright red. It was actually a most surreal and beautiful scene. 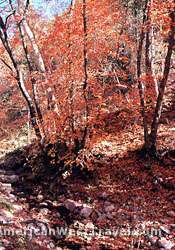 There was a steady patter of maple leaves falling from the trees into the stream bed in a light breeeze. 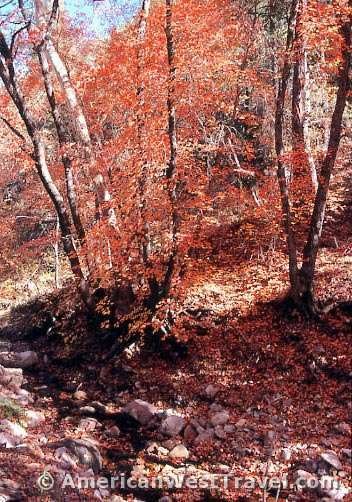 The tiny stream was gorgeously covered by the red leaves. Trails continue from here to the high country of the Chiricahuas which peak out at over nine thousand feet elevation. 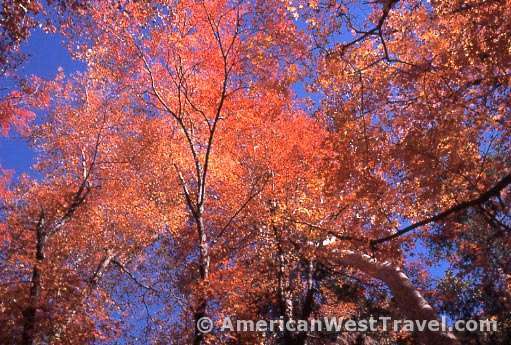 The mountains generally feature forests of juniper and pinyon pine but in the fall you may also spot beautiful flaming aspens at the highest elevations. 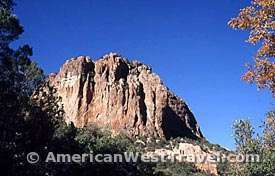 From the town of Wilcox on Interstate-10 in southeast Arizona, proceed about 35 miles southeast on AZ Hwy 186, then east on AZ Hwy 181 into the park. Obtain gas in Wilcox; gasoline is not available at or near the monument.